We are excited to be introducing our little sister to the company in early 2018! #CPRHERO will be offering accredited courses under RTO. 3586. *Please note accredited courses will only be available in selected states/areas until we have completed our national roll-out. 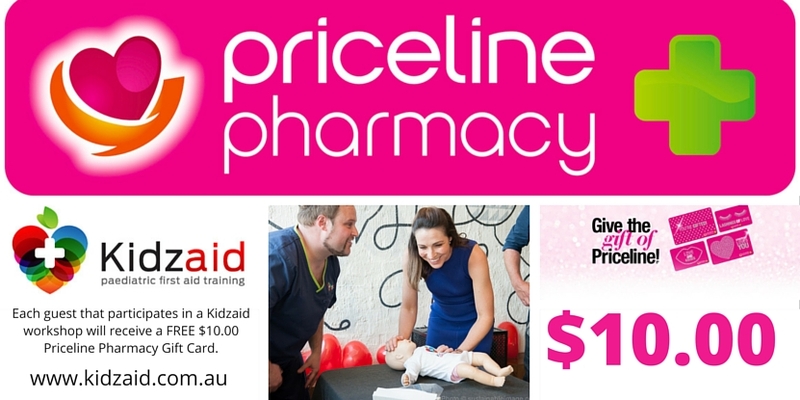 Our accredited + non accredited courses are presented by Kidzaid Doctors, Emergency Nurses & Intensive Care Paramedics. Duration | 1.5 hours classroom training and assessment (with online or workbook pre-work); or 2-3 hours classroom training and assessment only. + Using a defibrillator (AED). Participants will need the ability to meet the physical demands of providing resuscitation. Participants will also need oral communication skills in order to make an accurate verbal report to emergency services and workplace supervisor and it is recommended that participants have language, literacy and numeracy skills. Note that the provision of CPR must be demonstrated on the floor. A Nationally-recognised Statement of Attainment will be issued to all successful participants. "We were so fortunate to host the KidzAid team at Google for a Vital Aid course. The team were excellent and experienced. The enthusiastic presentations and demonstrations kept the room engaged for the whole afternoon. As a participant, I feel more confident that I would know what to do when faced with an emergency and in particular, have a better idea of when to present to hospital. The section on fevers is especially enlightening for anyone with a baby or toddler. A very worthwhile course." HLTAID004 Provide an emergency first aid response in an education and care setting . Duration | 8 hours (1 day) classroom training and assessment (with online pre-work); or 16 hours (2 days) classroom training and assessment only. Application and Relevance: This course applies to educators and support staff working in education or children’s services who are required to respond to a first aid emergency. It incorporates the skills and knowledge required to provide a first aid response to infants, children and adults. + Debriefing and evaluation of response to critical incidents . Prerequisites: There are no prerequisite units. Participants will need the ability to meet the physical demands of providing first aid. It is also recommended that participants have language, literacy and numeracy skills equivalent to level 2 of the National Reporting System. Assessment Methods: Progressive assessment throughout the course, including demonstration of practical skills and written and oral questions relating to underpinning knowledge. Award Issued: A Nationally-Recognised Statement of Attainment will be issued to all successful participants. Kidzaid Australia are under the umbrella of RTO No. 3586.